International Consumer Electronics Show (CES) was held in Las Vegas, United States from January 10, 2012 to January 13, 2012. As the biggest and most influential consumer electronics annual show, CES is a grand festival of consumption technology industry and gradually becomes an international arena for Chinese enterprises to show their strength. 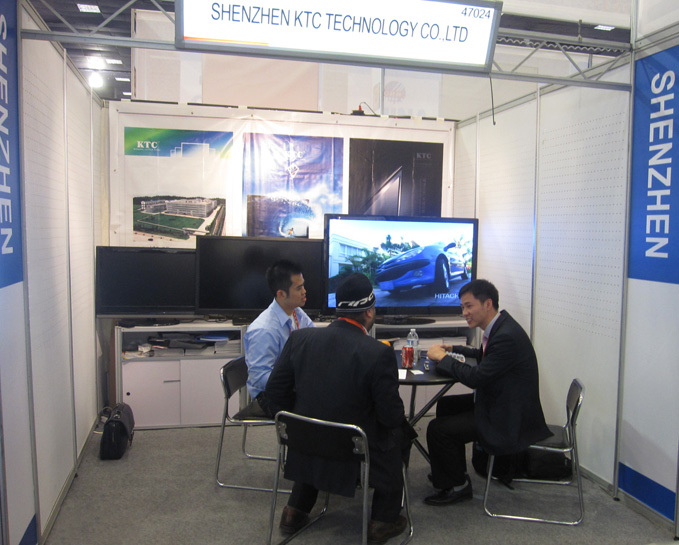 KTC participated in CES with 3D, LED, LCD TVs, which presented our corporate image and promoted our products to America customers. KTC’s participating in CES is the reflection of comprehensive strength. It is reported that CES not only attracted professional clients from all over the world but also it is a stage for many globally recognized consumer electronics enterprises to demonstrate their new products and technology. In this show, we gained good effects by virtue of good quality and service. Our products are highly praised by customers and they have a strong impression on our products’ pleasing appearance and unique design. By means of attending this show, KTC not only promoted business in North America, but also enhanced KTC’s brand recognition further at home and abroad.